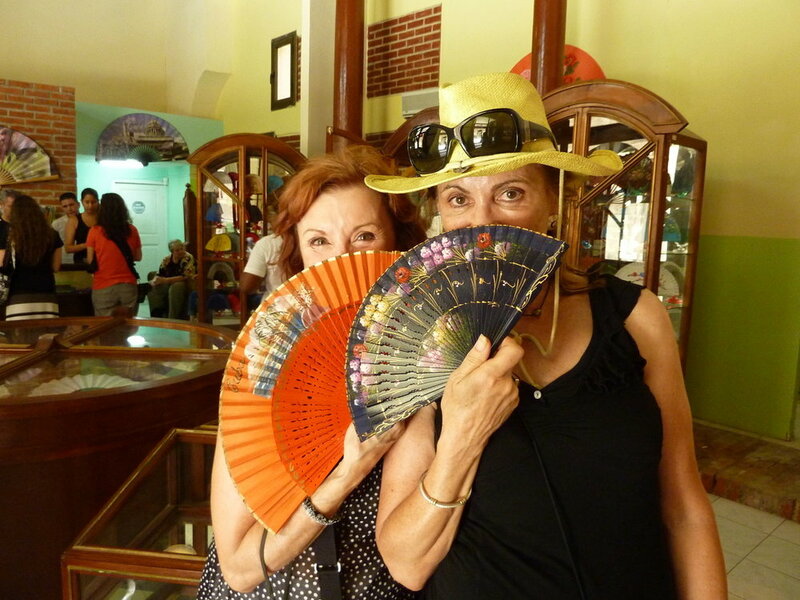 TravelCircles for Women's Voices in Havana, Cuba will be offered from November 11-18, 2017. Cuba has the distinct privilege of being our very first TravelCircle ever, back in 2013. Since then, due to popularity, we're led multiple trips back to this special island. This entire trip will be based in Havana-- which is one of the coolest cities ever: history, culture, food, colors, and flair. Come witness history unfolding with us and experience what may be one of the last places on earth that feels like it's magic has been frozen in time. Things in this country are changing fast-- come see it now! Immerse yourself in Cuban culture and history on a Walking City Tour of Old Havana where you will visit historical and architectural monuments, trace the city's urban expansion over the course of its 500-year history and meet with market vendors and Cuban shoppers. Discover the history and development of the Capital with Miguel Coyula, a local architect and urban planner. Visit with the Federation of Cuban Women (FMC) and learn about the history of gender rights in Cuba, including rights for women under the Constitution, and dialogue with representatives about current challenges and aspirations for women in Cuba today. Experience Cuban dance and music with a private rooftop concert of Cuban Fusion music, a Salsa dancing lesson, a live rehearsal at Rosario Cardenas Contemporary Dance and a visit to Prodanza - a ballet dance school...and more! Enjoy Las Terazzas Biosphere Reserve where you will find local music at the Curujey visitors center, lunch at Café de Campesino, coffee at Marias house and plenty of opportunities to explore the area - take a walk to see artists like Henry and Lester Campo, fly high on the zip-line or swim in the river. Meet the co-founder of the Muraleando Community Art Project, a popular community-based art programs in Havana, inspired originally by local neighborhood artists who taught art "in the streets" and explore the outdoor murals and sculptures. There is so much to do, see and experience in Cuba! 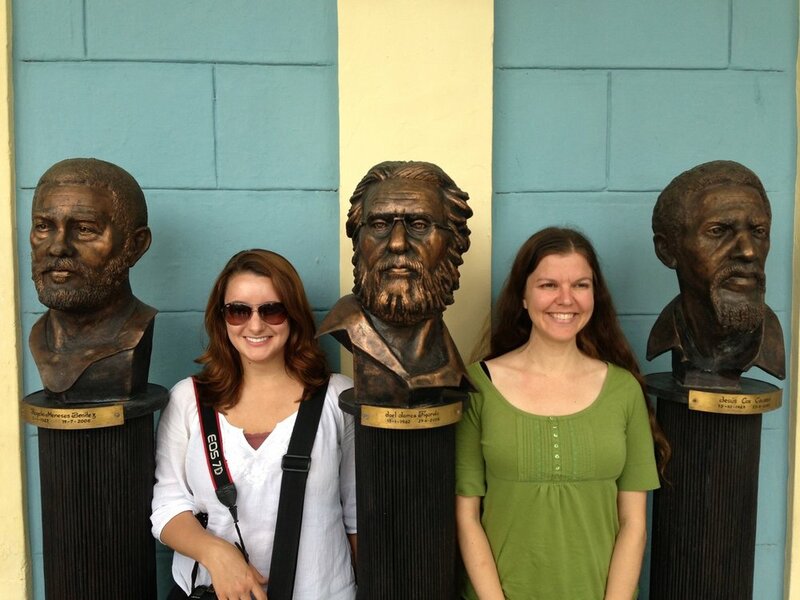 - amazing beaches, museums, Cuban artists and photographers, poetry, filmmakers, food and drink. A learning experience that highlights the women’s movement in that country and/or issues that women are currently facing. Meetings with at least 1-2 local women, whether entrepreneurs, politicians, writers, or fashionistas where we can ask questions about life in that country. Other women-focused experiences will be planned to fit the theme of each particular trip. Plus, we've got our eye on adding the "little things" that really make a trip feel special, past experiences have included: making your own perfume scent at a perfumeria, visiting a local spa, arranging for beautiful walks and hikes, attending roof-top concerts, going behind-the-stage to meet the dancers after a play, sampling artisan chocolate, etc. We're about good food, fun memories, and women enjoying life together! Fun! Price:The price of this tour is $4235 from Miami or $3545 from Havana (payment plans are available) and includes double room accommodations, all program activities, transportation to and from all activities, 2 meals daily, qualified trip leaders and guides, and base tips during meals. Each traveler is responsible for airfare to and from the destination country. The group size will be around 8-12 women. The GFC Travel Ambassador for this trip: Shasta Nelson! Shasta Nelson, CEO of GirlFriendCircles.com will be leading this trip, facilitating bonding and conversation among the 8-12 women who commit to travel together. We are a proud partner of Altruvistas, the socially responsible and philanthropic travel company that is organizing all our details. We are thrilled to have Malia and her team overseeing our trips to ensure that our itinerary is as authentic of an experience as possible while making sure that our money is spent in a eco and socially conscious way. 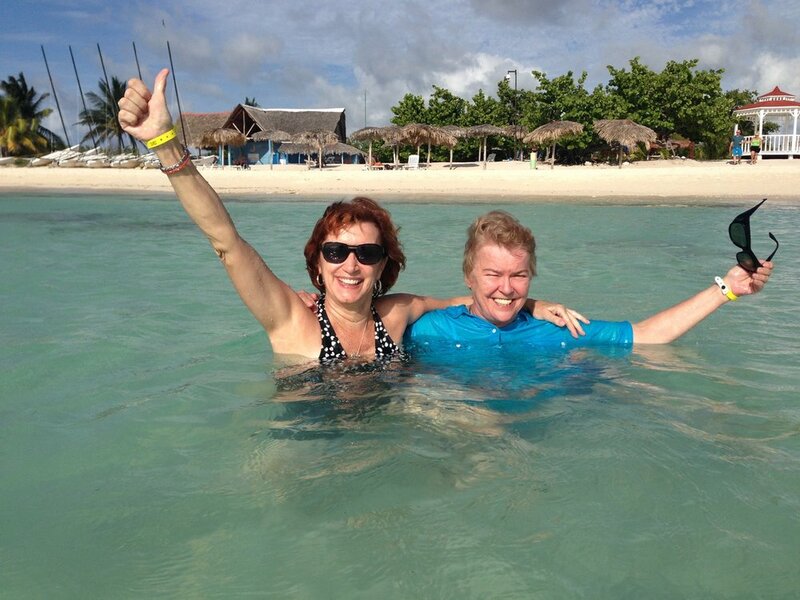 Malia and Rosalyn will work with you one-on-one to make sure you are all ready for our amazing adventures.